Chief Minister Parkash Singh Badal dedicated the Chhota Ghallughara Kahnuwan Chamb Memorial to the people at an impressive ceremony here today. 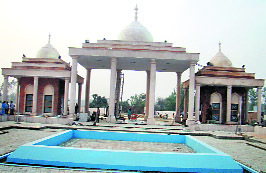 The memorial, which comprises a 100-ft tall minar (tower) and a couple of small buildings, has been constructed at a cost of Rs 11.59 crore in memory of 7,000 Sikh warriors who were persecuted and killed by Lakhpat Rai, a revenue minister in the Mughal government, in 1746. Education Minister Sewa Singh Sekhwan conducted the proceedings from the dais but it was the erudite Cabinet Minister Balbir Singh Bath who stole the limelight. In his brief but educative speech, he told the gathering about the significance of the Chhota Ghallughara in Sikh history. 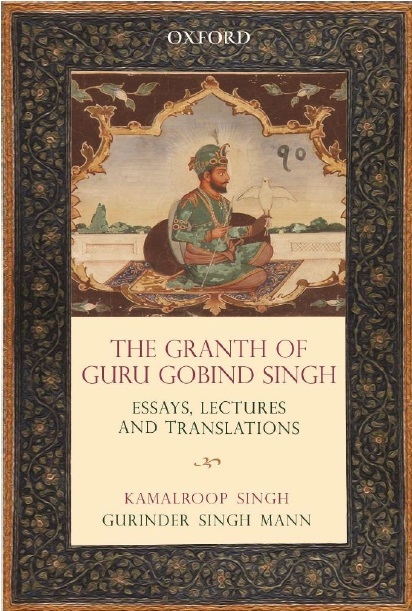 Unlike others, he refrained from giving a political tinge to his speech and concentrated on the importance of constructing such memorials “so that future generations can know of the feats and deeds of gallant Sikh wariors.” The only religious leader who was allowed to speak was Baba Kashmira Singh who runs the 500-bed SGL Charitable Hospital at Jalandhar. The Chief Minister, his Cabinet colleagues, MLAs and MPs stood up in reverence as the Baba finished his speech which received a thunderous applause from the audience. To this, the Chief Minister said: “It is destiny that these memorials have come up during my tenure as CM.” A 500-member delegation, which arrived from the Golden Temple, Amritsar, two days ago, served langar to the congregation. At least 24 Ministers and MLAs attended the function. The BJP was represented by Swaran Salaria and Master Mohan Lal.